The Massage Table has a specially designed head piece that adjusts to suit the face of each patient. The head piece also tilts and the arm rests are located underneath and forward of the head cushion for patient comfort. 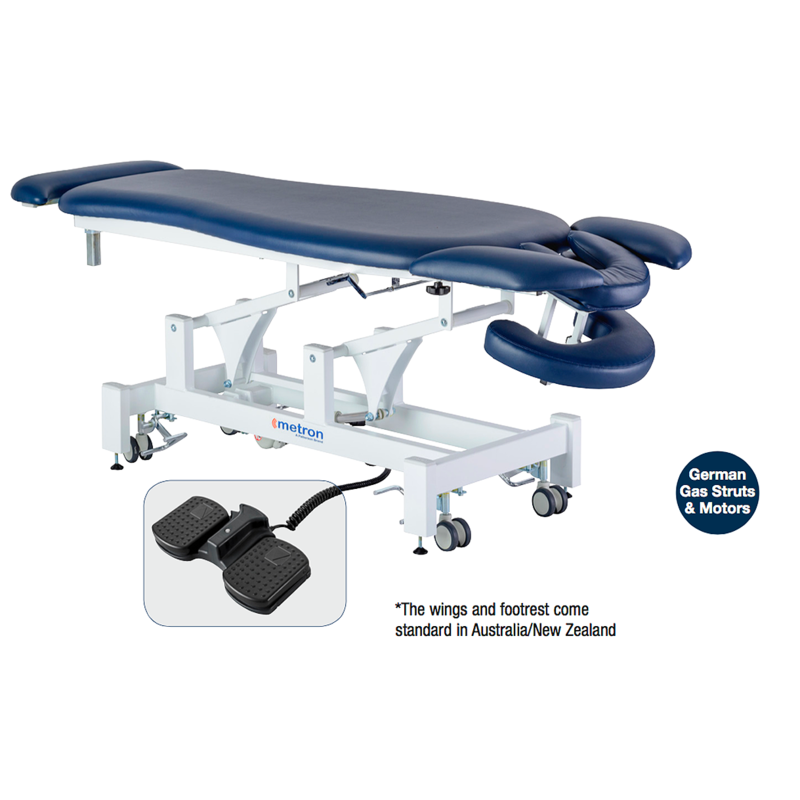 The table facilitates excellent access to the patient’s thoracic, and lower spinal regions.